This will shock you: I’ve managed to post something on a significant anniversary! 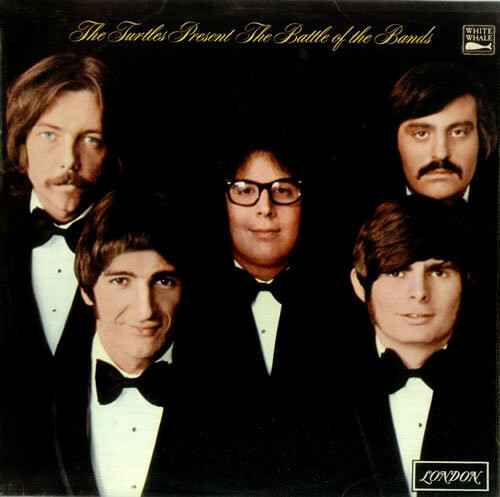 Fifty years ago today, on 1 November 1968, The Turtles released their magnum opus, The Turtles Present The Battle Of The Bands, in the US. I don’t know when it came out in the UK, though since its lead single (more of which anon) was riding high in the hit parade at the time, I imagine it wasn’t greatly delayed. The Turtles suffered a lot of ups and downs to get to this point. To begin with, there was The Crossfires, an instrumental group playing surf music. By 1965, that style was falling out of fashion, and the group was ready for a new direction and a new name. They signed with the recently-formed independent label White Whale Records, took the name The Turtles, and aligned themselves with the folk-rock trend then being spearheaded by Bob Dylan and The Byrds. They had a top ten hit first time out with a version of Dylan’s “It Ain’t Me Babe”, but successive singles charted lower and lower, and the tide was not turned by experiments like the self-penned proto-psychedelia of “Grim Reaper Of Love” and a breezy, cheesy rendition of the British wartime standard “We’ll Meet Again”, posted here a few months ago. They also started shedding members, losing both drummer Don Murray and bassist Chuck Portz. But then, as if by magic, everything started coming together. A demo acetate by songwriters Garry Bonner and Alan Gordon yielded the song “Happy Together”, and new bassist Chip Douglas devised a suitably radio-friendly arrangement, which duly went to number one in the States and was also a hit elsewhere (including the UK, where it was their first chart entry). Gordon and Bonner proved to be an excellent match for The Turtles, providing a string of further singles including their biggest British hit “She’d Rather Be With Me”. You’d think that White Whale would be delighted with The Turtles’ newfound success, and indeed they were. But their plan to keep the hits coming was to reduce The Turtles to a duo of singers Howard Kaylan and Mark Volman, fronting records played by session musicians. This proposal did not go down well. In fact, so keen were Kaylan and Volman to avoid such a fate, that they deliberately went in the opposite direction, all but abandoning the use of outside songwriters, and henceforth listing their original material as group compositions, the credit and profit split five ways. And with this new policy in place, The Turtles delivered their fourth album, Battle of the Bands, parodying various popular music styles, from surf to psychedelia, from country to… themselves. It was never intended to be a straight-forward song. It was meant as an anti-love letter to White Whale, who were constantly on our backs to bring them another “Happy Together.” So I gave them a very skewed version. 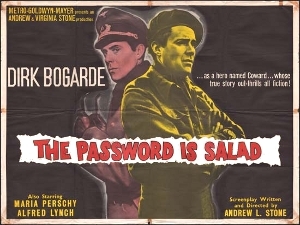 Not only with the chords changed, but with all these bizarre words. It was my feeling that they would listen to how strange and stupid the song was and leave us alone. But they didn’t get the joke. They thought it sounded good. Truthfully, though, the production on “Elenore” WAS so damn good. Lyrically or not, the sound of the thing was so positive that it worked. Interestingly, “Elenore” was in the UK top 20 at the very same time as both “Eloise” by Barry Ryan and “Jessamine” by The Casuals. And “Lily the Pink” by the Scaffold, for that matter. I’m guessing there may be an unusually high number of women with those names celebrating their fiftieth birthdays right about now. There’s at least one other well-known song on Battle of the Bands. Before joining the Turtles, Chip Douglas had toured as a member of Gene Clark‘s backing group, and one of the numbers they played was “You Showed Me”, an unreleased song Clark and Roger McGuinn had written for The Byrds. 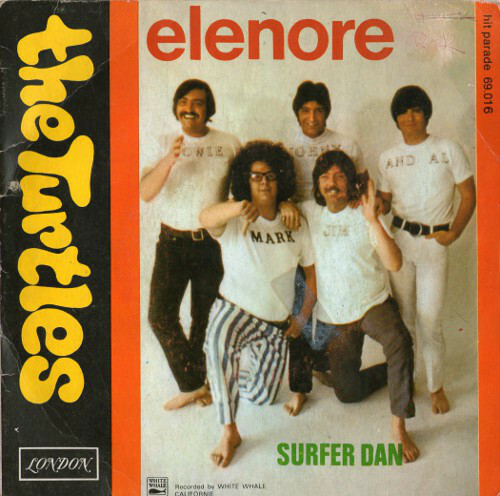 Douglas tried playing it for The Turtles on a harmonium with a broken bellows, and had to slow the tempo right down, thereby accidentally creating the basis for The Turtles’ arrangement, which became the first available recording of the song (and I suppose likely prompted the 1969 release of The Byrds’ early demos, including “You Showed Me”, as the album Preflyte).